Student loan debt statistics for 2016 look as gloomy as ever. With record average student loan debt and increasing college education costs, the burden on young adults isn’t easing. In fact, the average college debt is roughly $37,200. While the stock market has enjoyed record-setting gains, gas prices have fallen, and employment figures and wages have increased, those saddled with student loan debt continue to struggle to make interest payments, start families, buy homes and start saving for retirement. According to the White House, almost 70% of those who receive a bachelor’s degree will leave their higher education institution with at least some amount of student loan debt. As of early 2016, the total amount of that tab was hovering above the $1.27 trillion mark. If you’re one of the 43 million Americans who is currently carrying student loan debt, it can be frightening to know that this debt could essentially follow you for many years. But, it can also be at least somewhat comforting to know that you’re not alone. Knowing what you and your peers are facing on a day-to-day basis when it comes to the battle of paying off your student loans can be helpful in providing you with a direction for future planning. It can be tough making that student loan payment every month. But, knowing that you are one of 43.3 million other Americans who are also facing this very same type of debt may help to soften the blow – at least somewhat. Today, borrowers who are between 20 and 30 years old are paying an average of $351 per month to chip away at their student loan debt. If you graduated or left school in 2016, the average amount of debt for your college peers is just over $37,000 – which is actually up slightly from the year prior. This level of debt may explain why the student loan delinquency rate is at 11.6%. 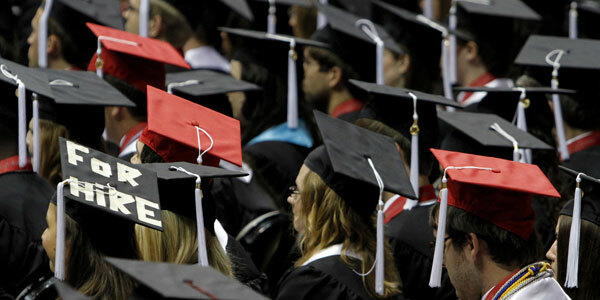 In 2012, 71 percent of students graduating from 4-year colleges had student debt. In 2012, 20% of graduate loans were private. 66 percent of graduates from public universities had loans averaging $25,550. 75 percent of graduates from private non-profit colleges had loans averaging $32,300. 88 percent of graduates from for-profit colleges had loans averaging $39,950. According to the College Board, the average tuition and fees at a four-year in-state public college for the 2015-2016 school year were approximately $9,410, with room and board costing an additional $10,140, making the total tab per year roughly $20,000. Given these figures, it is no surprise that the amount of student loan debt in the United States today is considered to be the second highest level of consumer debt behind only mortgages – and most of the student loan debt is held by the Federal government. Unfortunately, according to the Consumer Financial Protection Bureau, it is estimated that one in four students who have borrowed funds are either in delinquency or in default on their student loans. This can lead to other negative consequences, such as low credit scores and the inability to obtain home and car loans in the future. Here’s a breakdown of federal student loan debt by type. FFEL Loans – $363.6 billion; 17.9 million borrowers. Perkins Loans – $8.1 billion; 2.8 million borrowers. Student loan debt in America has done more than just cause an inconvenience for college grads and others who have completed their studies in one form or another. Today, this massive amount of debt is actually preventing people from making the types of large purchases, such as homes and cars, that can drive economic growth across the country. It is also impeding the ability of people to save for retirement. So, what can you do to avoid going into student loan debt for the rest of your life? There are a couple of ways to go about it. First, it is absolutely essential that you have a plan going in. This means getting a good grasp on your overall financial situation in terms of your income and your outgo. Developing a budget can help. You should also read up on and research all forms of student loan debt prior to moving forward with borrowing. That way, you will know exactly what you are in for – both while you are attending school, and when you get out. If you have already borrowed your student loan funds, then you may be able to lower your rate of interest and/or your monthly payment amount by refinancing through a private loan or by obtaining a consolidation loan. Before signing on the dotted line for a new loan, though, you need to be sure that the new debt really is going to be a better deal in terms of what you owe and what you’re required to pay back. A quick calculation of your total repayment amount should help you in making this determination. Remember, student loan debt can essentially be either a blessing or a curse. It all depends on how you go about obtaining the borrowed funds, and your plan for paying them back – and that plan begins with having a good understanding of student loans and how they will work for you. While most people love happy surprises, it’s no fun to get a notice in the mail from the U.S. Department of Education stating that your wages are being garnished due to non-payment of your student loans. Not only can this put additional pressure on your personal finances, it can be extremely embarrassing and possibly cost you your job. That’s because the situation is now between you, the disgruntled lender and your employer who is now required by law to implement a wage garnishment for student loans. While you should never stop making payments on your federal student debt, extenuating financial circumstances may arise and it is important you learn how to stop the student loan wage garnishment and get your debt payments back on track. For millions of former students each and every year, student loan debt is a ball and chain that can cast a shadow for many years – for some, even till retirement. And unfortunately, unless or until this debt has been paid back, there can be some fairly hefty consequences if the balance goes into default. Just as with any other loan that is overdue, if you default on your student loan, it can be turned over to a collection agency – and this, in turn, can show up on your credit report. It can also lower your credit score. The blemish can remain for as long as seven years, resulting in difficulty getting a car loan, a mortgage, or even renting an apartment. Defaulting on your student loans can also have an impact on your employment situation. For example, individuals who don’t pay back these types of loans are not allowed to work for a federal agency. This can also ring true for most state, city, and county government jobs. In addition, the situation could even prevent you from joining the military – and, if a job position requires you to obtain a security clearance, having a defaulted student loan may even prevent you from getting that, too. Your student loan default may also make it more difficult to obtain various plans such as utilities, cell phone service, cable television, and Internet. It probably should go without saying that if you default on your student loans, you won’t be able to obtain other student loans in order to complete or continue your education in the future. If your wages are being garnished because of your student loan debt, there are some things that you can do in order to help in alleviating the situation. The first step in this situation should be to immediately discuss any possible options with your student loan servicer. Doing so can oftentimes help you come to an agreement with them in terms of getting your student loan back on track. Because lenders don’t like seeing borrowers default on loans, they are often very receptive to discussing various repayment possibilities. Another possible option for you would be to contact the U.S. Department’s Debt Collection Service Center. The number for this organization should be listed on the letter for your wage garnishment. One of the best ways to get out of student loan default is to obtain a direct consolidation loan. Doing so can take multiple loans and roll them into just one single loan with one monthly payment – which may be lower than the cumulative sum that you are currently paying now. Prior to going this route, however, be sure that you will be able to easily make this payment and that it, too, will not get or keep you in financial hardship. In any case, it will be important for you to develop a plan for making on-time loan payments going forward. Designing a personal or household budget can be a good start for getting – and keeping – yourself on track for success in this area. 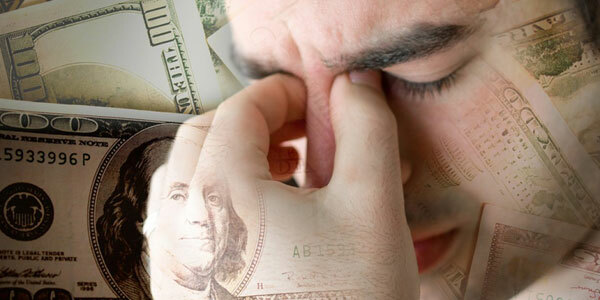 In some situations, it may be possible to challenge and stop the garnishment of your wages. Because the Department of Education or guaranty agency is required to notify you prior to making the actual garnishment, this means that you must also be provided with the opportunity to have a hearing to challenge it. Should you request a hearing within 30 days of receiving your notice, the wage garnishment may not be able to move forward – unless you are unable to prove your case. While challenging a student loan garnishment of wages may be a way to temporarily stall the situation, it is not always possible to completely avoid paying what you owe. For example, even if you have lost your job or you are having other financial hardship, you may or may not always be able to get around your making your student loan payments. In some cases, for example, debt collectors may end up freezing the money in your bank account(s). It is also possible that the creditor may even go after the income of your spouse. And, years down the road, it is possible that your Social Security retirement benefits could even be affected. If you are having trouble with paying your student loans, the best course of action is typically to keep an open line of communication with your loan servicer. That way, you can all work together in determining a plan that can work best for everyone that’s involved. The worst thing you can do is just the opposite – avoid communication and try to ignore the issue. Unfortunately, when it comes to wage garnishment for student loans, this is an issue that isn’t likely to go away quietly. The Public Service Loan Forgiveness program promises huge benefits for students with crushing education loans and debt. If you have student loan debt and work for the government or a not-for-profit organization, you could be able to receive loan forgiveness through the PSLF. The Public Service Loan Forgiveness program was developed to reward public service employees by forgiving the remaining balance on qualifying direct student loans for full-time employees. If you are eligible, this could save you thousands of dollars in student loan payments and interest expense, so let’s find out if you qualify! 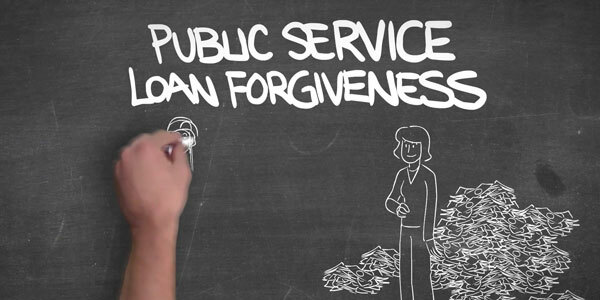 How Does Public Service Loan Forgiveness Work? The Public Service Loan Forgiveness program is a federal government program that has the intent of getting individuals to enter into – and remain in – public service occupations. In doing so, the program provides the incentive of forgiving the student loans of those who qualify. Depending on just how much student loan debt you have accumulated, the PSLF program can be extremely valuable. However, in order to obtain loan forgiveness, there are some qualification criteria that must first be met. For instance, there are only certain types of student loans that may be forgiven through this program. What Type of Loans Are Eligible? It is important to note that only the loan payments that are made on the Direct Consolidation Loan will be counted towards the 120 required payments that are necessary to qualify for loan forgiveness. How Do You Qualify For The PSLF Program? In order to qualify for loan forgiveness under the Public Service Loan Forgiveness Program, there are several criteria that you will need to meet. First, it is essential that you are not in default on any of the loans in which you are requesting the forgiveness. Then you will need to be employed full-time by a public service organization at the time that you apply for the loan forgiveness, as well as at the time that the remaining balance on your eligible loan(s) is forgiven. You must also be a full-time employee of a public service entity when you are making each of the required 120 qualifying loan payments for your 10-year loan. Furthermore, you could work for a government organization, which includes a federal, state, local, or a tribal entity or agency. You could also be employed by a public family or child services agency, as well as a tribal college or university. Not-for profit organizations as well as tax-exempt entities under IRC Section 501(c)(3) also qualify as public service organizations for the Public Service Loan Forgiveness Program. Who Is Considered A Full-Time Employee? In order to be considered as a full-time employee of an organization or entity, you must work an average of at least 30 hours per week. This does not include time that is spent participating in activities such as worship services, religious instruction, and / or proselytizing. In the case of teachers, if you work under a contract for at least 8 months in a calendar year, then you qualify as meeting the full-time employment criteria if you worked, on average, 30 hours per week and received credit from your employer for the full year’s worth of employment. You may also be in a standard repayment plan, or in any other payment plan that has monthly payments that are equal to or more than standard monthly loan payments. Should You Consider Public Service Loan Forgiveness? Prior to moving forward with the Public Service Loan Forgiveness Program, it will be important to ensure that doing so is right for you. For example, the PSLF program is typically the most valuable to those who have high loan balances in relation to their income. If, however, you have a low student loan balance remaining, then it isn’t likely that you will have a lot left to be forgiven. This is especially the case after ten years of making the loan repayments. If it turns out that the Public Service Loan Forgiveness Program is the right option for you, then there are some steps that you should take in order to move forward. First, it will be important that you keep track of your eligibility. In doing so, the U.S. Department of Education has created a process for helping you to do so. The Employment Certification for Public Service Loan Forgiveness Form, also referred to as the Employment Certification form, can be found here. You should complete the form and then submit it to FedLoan Servicing (PHEAA), the PSLF servicer, at the address that is listed in Section 6 of the form. Although you are not required to submit this form, it can help you in tracking your student loan payment progress – and in doing so, it can be extremely motivating to watch how close you are moving towards your loan forgiveness eligibility. Student loans and taxes are an unlikely pair, but your student loan interest payments may be tax deductible. Although you can’t claim a student loan itself on your tax return, you are able to deduct some or all of the interest that you paid for various items such as tuition, room and board, supplies, and books – up to a certain amount each year. So, how much student loan interest can I deduct and get a tax credit for? For example, even if you do not itemize, you could reduce your taxable income by up to $2,500 if you qualify for the student loan interest deduction. This deduction is typically reported on IRS Form 1098-E. If you paid $600 or more in interest for the year, you will typically receive this form in the mail by early February. But even if you don’t receive the form directly from Uncle Sam or your loan servicer, you can still claim the student loan interest deduction if you paid less than $600 in yearly student loan interest and you otherwise qualify based on the IRS’s criteria. Let’s find out how you can claim a student loan tax credit and increase your tax refund. 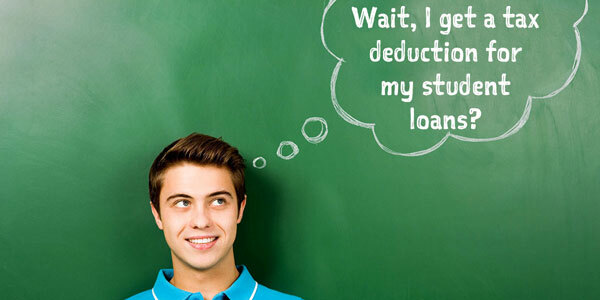 How Do You Qualify To Deduct Your Student Loan Interest? The student loan must be in your name, or in your spouse’s name, if you are filing your taxes jointly. This is the case, even if another person paid the interest. However, if the student loan is in your name, but another individual is claiming you as their dependent, then neither you nor they may deduct the student loan interest. The student who uses the loan needs to be enrolled at least half-time in an educational program that leads to a degree or certification. The deduction is not available to those who file their taxes as “Married Filing Separately”. You cannot be claimed as a dependent by someone else. What Qualifies as an Actual Student Loan? 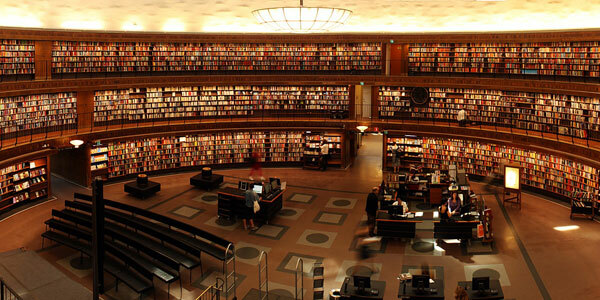 For education provided during an academic period for an eligible student. There is also an income qualification for being able to deduct either some or all of your student loan interest. This will vary, depending on your marital status. For example, if you are a single tax filer, you will need to have a modified adjusted gross income (MAGI) of $80,000 or less, and if you are married filing jointly, you will need to have a MAGI of $160,000 or below. It is important to note that there are some sources that are not considered to be “qualified” student loans. For instance, the interest that you pay back on loans that come from a family member or relative do not qualify for the tax deduction or credit. Neither will the interest on student loans that have come from a qualified employer plan. How Long Can You Deduct Your Student Loan Interest? It’s important to claim the interest deduction while you can, because you are only allowed to deduct the interest that is paid on your student loan throughout the remaining time period that you carry a balance. The deduction can be taken, regardless of whether you’re only making the minimum payments on the loan or if you’re making extra payments – up to the maximum amount of $2,500 in interest. A factor to take into account, though, is that you don’t want to prolong paying off your student loan in full in order to just take advantage of the deduction each year. This is because, while it’s nice to be able to deduct an amount from your income taxes, it is still much better to pay off your student loan as quickly as you possibly can so you can rid yourself of the debt completely. As you prepare to move forward in life, having a large sum of debt right off the bat can slow you down financially. So, being able to get some relief from any viable source can make a big difference. Paying back student loans can take a fairly hefty bite out of your income. So, it’s good to know that there may be at least some relief available at tax time. If you qualify, you may be able to deduct up to $2,500 of interest per year from your income. If you want to bookmark this resource as a reference, here’s an overview of what you need to know about claiming a tax credit for student loan interest payments. Maximum Benefit: You can reduce your income subject to tax by up to $2,500. Loan Qualifications: Your student loan must have been taken out solely to pay qualified education expenses, and can’t be from a related person or made under a qualified employer plan. Student Qualifications: The student with the loans must be you, your spouse, or a dependent who is enrolled at least part-time in a program leading to a degree, certificate, or other recognized educational credential at an eligible institution. When claiming a student loan interest payment as a tax deductible expense, be sure that you qualify based on your tax filing status as well as on the type of student loan that you have. If you don’t receive an IRS Form 1098-E in the mail from the IRS, forms are also available online via the IRS website. If you’ve met all the qualifications, moving forward can be easy, especially if you use a tax advisor or an online tax filing service that provides you with step-by-step assistance in walking through the process. This here is a list in no particular order of 10 things college freshmen across the country will need (aside from obvious things such as bedding) heading into their first year in the big leagues and adjusting to dorm life. 1. 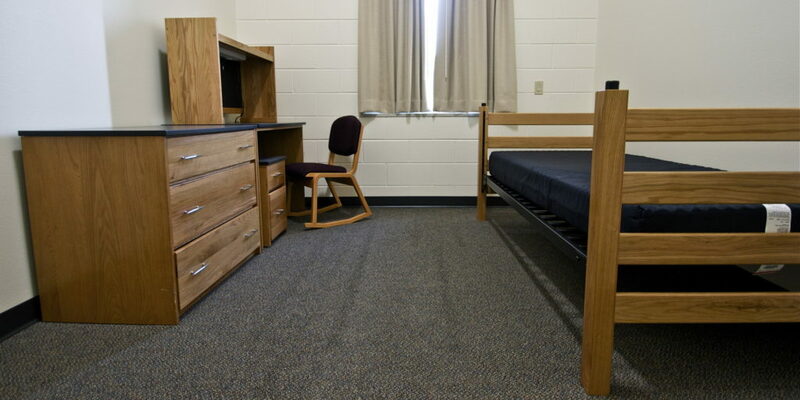 Fan: Things are going to be cramped and there is an astounding lack of A/C in freshman housing. This fan will make the temperature in your room a bit more bearable. 2. Some sort of mattress topper for your bed: This will help the stale, stiff bed resembling object that you have to use as a mattress be less of a chore to sleep on. 3. Sandals: The communal showers have seen plenty, put a layer between your feet and that tile floor for your own good. 4. Shower caddy: This will aid in your organization and keep all your toiletries in one place so you aren’t fumbling around when trying to shower and freshen up. 5. Dry erase board: This can help you maintain some form of organization as you can leave reminders and important messages for yourself. replaced by a layer of clothing. 7. Small trash can: Also to help you from keeping your room from resembling something like that of a landfill. 8. Desktop lamp: Bring this for all of your late night work. Instead of leaving your main light on in your room, you can have this so you don’t keep your roommate up while you cram all night. 9. Multi-outlet power strip: This allows for some electronic freedom and gives your more to work with than the 23 power outlets you are given in your room. 10. FirstAid kit/Emergency/other medical care items: Mom and Dad won’t be there to help so it’s up to you to care for your scrapes and colds. College is a time for young men and women to truly realize who they are and what they want to do with their lives. It’s a time of unlimited opportunity where you control how you perform and what you do. No longer are you constrained to the daily responsibilities of you parents and daily structured high school class schedule. With that being said, however, it is a time of major adjustment for those who want to flourish in their new environment. One major area of college life that is imminent to you being successful at whichever institution you are attending is proper time management. Yes, college is a place where you can have fun with your newly made friends but like everything, should come in moderation. You must know when it’s okay to go out and blow off some steam and when not to. If you have a paper or test at some point during the week, it may not be the best time to be away from your books and computer. Allocating regular time to doing your work will help you organize your life and, if done properly and efficiently, can still leave for you to take a break and hangout. Another area in which students should pay particular attention is being able to handle stress and adversity on your own. Being away from home means that you won’t always be able to turn to your parent or guardian for help and they won’t be able to do as much for you as they may have done prior in your life. This is where the school’s guidance counselor may become of some use for you as they provide you with someone to talk to and seek advice right there on campus. Finding an appropriate outlet for relaxation, whether it be working out, yoga, etcetera, would be a good idea for help with relieving the stress of college life. Finally, an additional recommendation for adjusting to college life is getting involved in school extracurriculars. Things like clubs, intramural and club sports, and other activities offer a great way to meet new people and companions for your new student life on campus. Clubs allow you to reach out into areas that specifically interest you with likeminded people. Intramural and club sports allow you to participate in sports that you may have played your entire life without the commitment of a varsity sport. Being an active member of your school’s community is a great way to branch out and make new connections with people on campus. All in all, college is a place of exciting new opportunities. You control your academic performance, social life, and how you live. There’s countless ways for you to thrive in your new life and your success ultimately resides in your hands. The Federal Reserve Bank of New York estimates that Americans owe $1.2 trillion in student loans. According to the most recent numbers from the U.S. Department of Education, approximately 1 in 6 borrowers, are defaulting on their student loans and haven’t made a payment in at least a year. For those of you that are in good standing, now may be the time to consider your loan options. The decision process does not end here, however. Another thing to consider is time and how long you want to be paying off your student loans. Appropriately spacing out your payments is a crucial part in the process. You need to find a plan that best suits you and your life. Having your payments stretched over a longer period of time will mean lower payment amounts, but you are also responsible for them for a much longer period of time. On the other hand, you can pay them off in a shorter amount of time but with a much higher cost. In addition to time you must consider the interest rate of your loans. It would be an easy decision to refinance your loans so that they have a lower interest rate but it is not always that simple. Things like having a poor credit score could inhibit you from doing so. Also, if you have a federal loan, the only option of refinancing is through a private lender, who are much more complex than the federal government. Ultimately, the path you wish to take when solving your student loan dilemma is based on how best you can handle the situation. You need to understand and decide how long you want to be paying your loans while still actually being able to pay them. While consolidating or refinancing your student loans may be a wise idea financially, knowing which bank or lender to go through for carrying out the actual transaction can be confusing. This is because there are a number of different variables to consider when refinancing or consolidating your student loans in 2017. Interest rates and loan terms are two of the key criteria that you should keep top of mind. However, the actual financial institution that you go through can also make a difference. With that in mind, it is important to compare several lenders prior to finalizing the transaction. Below is a comparison of the best banks and lenders to help you refinance and consolidate both private and federal student loans. 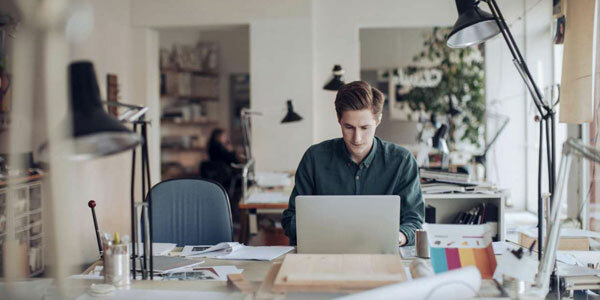 For a holistic review, we discuss student loan consolidation and refinance rates, terms, loan types, eligible degrees and everything you’ll need to make a decision on the best company to work with. At SoFi, both federal and private student loan debt can be either consolidated or refinanced. As a borrower, you are offered a wide range of variable and fixed interest rates to choose from. There are no origination fees or prepayment penalties, so additional borrowing costs are kept to a minimum. SoFi also offers additional benefits to its borrowers. For example, with unemployment protection, if you lose your job while you still have a student loan balance, SoFi will temporarily pause your payments and even assist you in finding a new job by reviewing your resume, as well as offering you interview coaching and various tactics for negotiating, which can help you to get back on your “financial feet” more quickly. If you opt to refinance your student loan, the entire process can take place online and it can be completed in as little as 15 minutes. All it takes is a quick pre-approval in order to ensure that you qualify. Once that is complete, you can choose a loan that fits your specific requirements and then just sign and upload the documents. 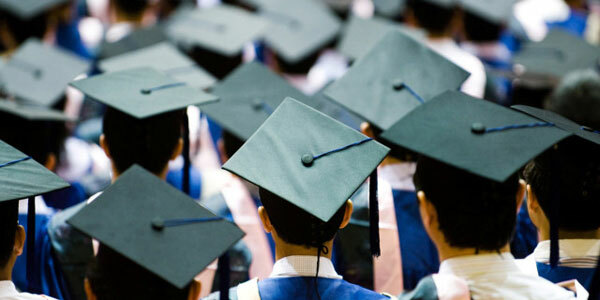 Earnest is known for its flexibility in student loan refinancing and consolidation. With this lender’s Precision Pricing, you are able to choose the monthly payment that works the best for you and your personal budget. Earnest also looks forward when determining your overall financial picture – not just backward. This means that rather than just evaluating your past financial and credit history, they also look forward and take into consideration your future financial potential and responsibility. This makes their loan underwriting that much more personal. Furthermore, unlike most other lenders that transfer your loan to a third party servicer soon after receiving your paperwork, Earnest stays with you throughout the life of the loan. With that in mind, you can expect personal service – now and in the future. CommonBond offers you the option to choose from fixed, variable, or hybrid interest rates. Hybrid rates allow you to pay a fixed rate on your loan for the first five years, and then pay variable rates for the last five years. There are no hidden fees to contend with such as application fees, origination fees, or even prepayment penalties if you pay your loan off early. You are also protected from various financial “emergencies” such as job loss. For example, if you lose your job, CommonBond will pause your student loan payments – and will even assist you in finding new employment. The process of consolidation or refinance is easy – and in most cases can be completed entirely online in just four steps. Just simply fill out the application, obtain your interest rate, upload the necessary documents, and wait for an approval. Citizens Bank provides the opportunity to refinance high student loan debt or to consolidate multiple loans. This lender offers ways to get a lower interest rate, regardless of whether you are consolidating or refinancing student loans through them. These can include automatic payments, which is when you authorize the Citizens Bank loan servicer to automatically deduct your monthly loan payments, you can save 0.25% off your student loan’s interest rate. Or a loyalty discount, which applies if you (or a cosigner) already has a qualifying account with Citizens Bank at the time that you apply, you may also be able to save 0.25% on a new Education Refinance Loan. If you have poor (or no) credit, then applying for a loan consolidation or a refinance in conjunction with a cosigner may help your chances of approval. It can also help you to obtain a lower interest rate – which, in turn, can help to lower your monthly payment amount. At Citizens Bank, even if you apply along with a cosigner, once you have made 36 consecutive on-time payments on your loan, you can apply to release your cosigner from your loan. LendKey offers a way for borrowers and more than 13,000 credit unions and community financial institutions to essentially “match up” and find the best solution for all. This can help you to discover the option that works for your specific budget and payment schedule – all from the convenience of your computer. Because of the transparent, low-interest lending structure of these types of financial institutions, you can make smart borrowing decisions when it comes to consolidating or refinancing your student loans through LendKey – which can essentially help you in lowering your interest rate, your monthly payment amount, and in turn, your overall lifetime payment that is due. With LendKey, you will not be subject to paying any loan origination fees, or early loan payoff penalties, either. This can end up saving you thousands of extra dollars throughout the life of your student loan. DRB offers borrowers both fixed and variable interest rates, with payment terms that range from between 5 and 20 years. If you happen to lose your job, DRB will allow you to cease making payments on your student loan during the time of your hardship – and they will even provide you with assistance in finding new employment. Through this lender, you may be able to refinance up to 100% of your outstanding federal and private student loans. There are no origination fees, and no prepayment penalties if you pay off your loan early. When considering a lender for a student loan consolidation or refinance, it is typically best to compare several prior to making your ultimate decision. It is important to note that the actual interest rate that you will receive on your loan will be based upon several factors that are specific to you and your unique background, including your income, credit score, and savings. Whether or not you apply with a cosigner can also be a factor. Most parents will do anything to help their children get a good education and succeed in life, and that may eventually mean getting approved for private student loans with bad credit. Any parent with a child in college is likely aware of the exorbitant price tag of a college education nowadays. Over the past three decades, the cost of college tuition has increased more than four times that of the average rise in family incomes. Because of this, families have had to turn to loans and other financing to help students with obtaining their college degrees. But unfortunately, not everyone has good credit. While some may feel that this could hinder them from finding the aid they need, there are still actually many student loan options available to you if you have a bad credit history. Below, we will discuss how to get a student loan with bad credit. When it comes to any type of borrowing, your credit can play a key role – and lenders in the private student loan arena are no different. This is because the lender wants to be assured that they aren’t taking on too much risk in terms of being paid back for the funds that they are loaning you. There are three credit bureaus that creditors report to. These are Equifax, Experian, and TransUnion. Some creditors will report to all three, while others may only report to one or two. Although each calculates scores just a bit differently, overall, credit scores can range from a high of 850 down to a low of 300. A private lender will typically evaluate a student (or a student and parents) based on their credit score, and will not generally loan funds to anyone who has a score that is lower than 620. The good news is that your credit score can – and often does – change regularly. So, if it is in a lower range currently, you can usually bring it up by making payments on time and / or removing any negative information that may be inaccurate on your credit report. If your credit falls into the poor or bad credit category, it doesn’t mean that getting a student loan won’t be possible. You may just need to narrow down your options. The best place to start in this case is with federal financial aid. One of the primary reasons that federal student loans are a good option is because the federal government doesn’t check the credit history of applicants for student loans. This can make the process of approval much easier on a federal loan than going the route of financing through a private lender. There are actually two forms of the Stafford Loan. One is a need-based version that is based on income. The government pays the interest on this loan while the student is still going to school, and during the loan’s “grace period” before the repayment begins. This is referred to as a “subsidized” Stafford loan. These loans are only available to undergraduate students. There is also an “unsubsidized” Stafford loan. This version of the Stafford loan is not based on income. The school determines the amount that can be borrowed, based on the cost to attend the institution, as well as any other financial aid that the student is receiving. With an unsubsidized Stafford loan, interest must be paid during all periods. These Stafford loans are available to undergraduates, as well as to graduate and professional degree students. In order to be eligible for either type of Stafford loan, it is necessary to be enrolled at least half-time in a program that leads to either a degree or a certificate that is awarded by the school. Perkins loans are low-interest federal student loans that are available to both undergraduate and graduate students who have what is considered to be exceptional financial need. As long as you are attending school at least half-time, you do not need to begin making repayments on a Perkins loan until nine months after you either graduate, leave school, or drop below half-time status as a student. With a Perkins loan, the school actually acts as the lender, so repayments are made to the college or university. However, it is important to note that not all colleges and universities participate in the Perkins Loan program. Therefore, it will be necessary to check with your school in order to ensure that it is a part of this program if this is an area of financial aid that you want to pursue. Students or parents may also obtain a PLUS loan. These federal loans are available directly to graduate or professional students, as well as to parents of dependent undergraduate students through the United States Department of Education. Although a credit check will be performed during the application process, you may still be able to qualify for a PLUS loan if you are able to obtain a cosigner who has a good credit standing and / or you are able to document that your adverse credit history is due to extenuating circumstances. Having a family member who has a strong credit history act as a cosigner can help a great deal in getting your student loan approved. This is especially the case if you are applying for private funding through a lender. By having a financially responsible party on the application who has a high credit score, it can provide more assurance to the lender that payments on the loan will be carried out as promised. This can also help you to possibly obtain a lower interest rate on the loan, in turn, reducing your monthly payment amount. Having low (or no) credit does not necessarily mean that a student loan will be impossible to obtain. There are still several avenues that you can take, including government financial aid, and even private loans with a cosigner. Knowing which loans you may be eligible for can help you to narrow down your options and get directly to your best potential options more quickly. If it seems like every time you make the payment on one of your student loans, another one is arriving in your mailbox, then it might be time to consider consolidating your loans so that you have just one single payment to deal with each month – along with some other nice benefits that you may not be aware of. Consolidating your federal loans, private loans, or both may sound like a nice idea, but should you do it? Below, we will explore the pros and cons of student loan consolidation to help you make a decision. A Direct Consolidation Loan gives you new repayment terms of between 10 and 30 years, depending on the balance of the new loan. The interest rate on the newly consolidated loan will be determined based on a weighted average of the previous loans’ interest rates. Your prior financial history will not be factored into this rate. The other option you have for consolidating is to either combine or refinance all of your student debt into just one single private loan. This alternative is open to those who have both government and private student loans. In this case, because you will be going through a private lender, the interest rate on the new loan will be based on your past credit history. This means that the higher your credit score, the lower the interest rate is likely to be. So, if you have good credit, then a lower interest rate could essentially save you a considerable amount of money on your payment – along with the convenience of only having one monthly payment instead of several. On the off chance you have bad credit, then explore your options anyway to see what is available on the market. Even just thinking about consolidating your student loans may cause some people to breathe a sigh of relief. This is because tracking just one loan as versus three or four can be much less stressful on your budget. There can be other advantages to consolidating your student loans, too. For example, if you are able to obtain a lower rate of interest, you will be keeping more money in your own pocket, rather than paying it out to the lender. This means that you can divert those extra dollars over to paying other bills, or even into a savings or investment account. If you had to have a cosigner on some or all of your original student loans, moving forward with a consolidation loan may allow you to release him or her from this responsibility. Once that happens, your cosigner will no longer be at risk financially for these loans, in turn, allowing them a better opportunity to qualify for loans of their own such as a home or auto. While it may seem that consolidating your student loans only has its perks, there are still some factors to consider prior to moving forward in order to determine if this is really the best option for you. First, consolidating your student loans can take some time and effort. That being said, if you are getting close to having all (or most) of your loans paid off, it may make sense to simply leave things the way they are and finish paying off the balances. This is especially the case if you aren’t having trouble with making the payments. In fact, in some cases, a student loan consolidation may end up costing money if the interest rate is higher than what you are currently paying. You may also be required to pay an origination fee and / or other charges in order to get the new loan in place. In addition, you could end up paying more in total if the repayment schedule goes for many years into the future. For example, if you were originally set to pay off your multiple loans within just a few years, but the new repayment schedule goes out for 15 or 20 years, then the total lifetime amount of repayment could be considerably more with the new consolidation loan. So, it is important to check all the figures. Also, if you currently hold a Perkins loan, you could lose access to this particular loan’s cancellation program for teachers and other public service employees if you consolidate it into another loan. For this reason, even if you consolidate your other student loans, you might want to consider keeping this one separate. When shopping for potential loan consolidation alternatives, be sure that you read all of the “fine print” before you move forward on any deal. This is because not all lenders are created equal – and unfortunately, there are some that will take advantage of those who are down on their luck financially. For example, if you are offered a loan with terms that appear to be substantially better than all of the other lenders, then it could be a sign that it is a scam. Typically, if the terms sound too good to be true, they probably are. In order to be eligible for consolidating your student loans, there are some criteria that you need to meet. First, you must either have graduated, or only be enrolled less than half-time. Also, you need to consider the type of loan(s) that you presently have. For example, if you currently have private student debt, these loans are not eligible to be consolidated into a Direct Consolidation Loan. In all cases, provided that you are eligible to move forward, it is important to ensure that the interest rate and the overall repayment amount make sense for you financially. In addition, be sure that the lender you choose to go with is reputable and in good financial standing. Checking out the lender through the Better Business Bureau is usually a good place to start in terms of finding reviews, as well as information on any complaints that have been filed over the past few years.